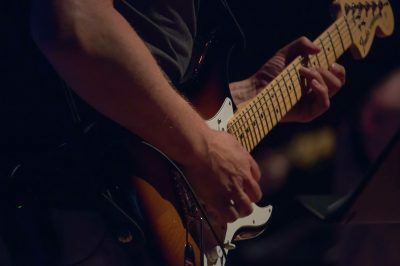 Learn the Licks to Some of Your Favorite Classic Rock Songs! 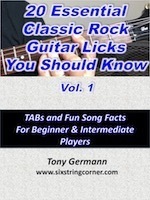 A package of TABs of some of the most memorable guitar licks from bands like The Beatles, Rolling Stones, Rush, and more! Why search all over the internet to find TAB's to some great guitar licks? Here it is all in one! While this collection is mostly for beginners and intermediate players, it's something that anyone can use. As a special bonus, included for each song are some cool fun facts about each song that you might not have known about!